Whether you’re looking for a 5-star hotel or a budget bungalow, we’ll find the best deals for you. Our expert rating is based on close professional relationships with each of the hotels we work with. Also, we work hard to provide you with constantly updated information and deals. Our mission is to help you figure out which hotel is the right choice for your dream vacation. All the hotels we work with have been handpicked by our team of experts. We rate each one according to three main factors: location, price, and quality of services. This allows you to easily find the accommodation most suitable to your needs. Hotels in the most popular destinations are listed on this page. If you can’t find what you’re looking for, visit our all destinations page. There you can find a full list of locations and read a detailed guide for each. There are plenty of hotels in Manila and you will find a huge range of styles. From luxury hotels to cheap dorm beds in vibrant hostels, all you have to do is pick the right one for you. Most hotels are concentrated in the districts of Makati, Malate and Ortigas. Pasay city is the best choice for those if you’d wish to stay by the airport. If you’re in the city for just a couple of nights, we highly recommend Makati or Ortigas. Both safe neighborhoods with a lively nightlife scene. 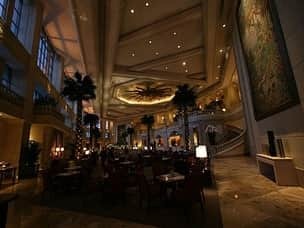 If you’re struggling to decide where to base yourself, visit our Manila page for more useful information about hotels in Manila and other attractions. Book a resort in one of Palawan’s top spots and wake up each day to a beautiful view of the ocean. For lower budgets, a cozy beach bungalow is a comfortable option. Luxurious beach resorts offer plenty of opportunities to have your every need catered for. Palawan is very popular, so it’s advisable to book in advance. Investing a little extra time and money in your accommodation here will go a long way to ensuring you have the a most memorable stay. Two of the most incredible parts of Palawan are El Nido and Coron. Both have beautiful beaches and scenic views, but there are plenty of other idyllic locations that haven’t yet made it onto most tourists’ radars. If you’d like to find hotels in the more remote areas on Palawan, we would be happy to suggest somewhere less well explored. We aim to provide the best accommodation while offering great value for your money. Visit our Palawan page for more information about the island, or simply click on our expert’s ‘pick of the month’ for a fast booking. Boracay offers the perfect combination of nature and modernization. Being such a small island, you can throw yourself into the day’s activities knowing you’re never too far away from a hot shower, a blast of air con or a comfortable bed. You can find whatever you need on Boracay, from a lively nightlife to some stunning beaches, a variety of watersports, and an extremely diverse selection of hotels and resorts. You can sleep anywhere from hostel beds to plush suites designed to cater to the rich and famous. Almost all accommodation is on or very near the beach, and most of the resorts serve food and drinks. As with Palawan, it’s wise to book in advance , especially during holiday seasons. Search our deals, or tell us your requirements so we can make sure you get exactly what you want. Our featured monthly promos are a great way to find a bargain, and our Boracay review is a good source of further information on the area. Our mission is to constantly work hard to find the best rates and deals whatever the season. Our promotions will help you find the best your budget will allow. We only work with establishments that offer great value for a fair price. The real secret to getting the best deals is to avoid the most touristic locations, which has the added benefit of making your stay feel more special and unique. Across the Philippines, there are many alternatives to the famous islands. They typically offer the same services in an equally stunning environment at a fraction of the cost. For example, the views in Siargao are arguably as impressive as in Palawan, but because it’s less well-known, it’s far cheaper. When you book a resort or package through us, we guarantee we’ll save you money. 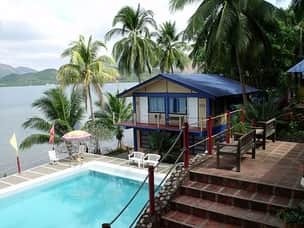 You can find better and cheaper accommodation even in touristic places like El-Nido, if you use our help and free advice. 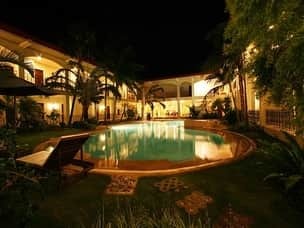 Luxury accommodation in the Philippines follows the highest standards. 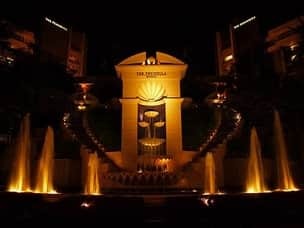 There are 5- star hotels and resorts across the country that offer exceptional facilities and services. Wherever you go, we know how to make your vacation a dream come true. It isn’t worth gambling on a hotel that looks good on a booking agency’s website. Some hotels in the Philippines will feign to be 5-star establishments and the hospitality sector is not particularly well regulated. If you use our services, you can rest assured that we have approved each hotel by reviewing its facilities personally. We prioritize safety, location, and value for money, handpicking only the finest. Whether you’re about to book your romantic honeymoon vacation, or simply think you deserve the best, the Philippines is a great place to get a taste of the finer things in life. We work with dozens of high-end establishments and our hotel reviews will help assure you that your chosen hotel meets your expectations. Alternatively, contact us directly for personal assistance in booking your desired accommodation. Even in the most touristic destinations, the majority of resorts fall into the mid-range category. They may all fall under the same general term, but their standards vary considerably. For virtually the same price, you can get great value for your money, or you can be fooled into overpaying for something quite basic. With our service, you can be sure that traveling mid-range doesn’t mean lowering your standards. Every beach resort and hotel on our list represents value for money. All our hotels are in practical locations, with accommodating staff and reliable facilities. Add accommodation to your wishlist, contact us for advice, or check our fully flexible packages until you’ve designed a vacation just right for you. 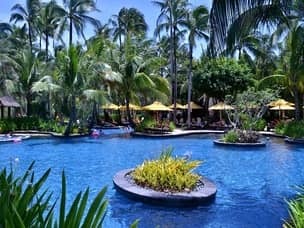 Budget Hotels In The Philippines, What To Expect? Cheap resorts and hotels are abundant in the Philippines. You won’t need to pay more than 10 dollars for a room, or 5 dollars for a hostel bed. However, we strongly believe it’s better to invest a little more. Splashing just a little more cash will guarantee you privacy, security, cleanliness, and better services in a more convenient location. Don’t worry, it will still probably seem cheap compared to home. The other main advantage of low-budget hotels, is that it makes it easier for solo travelers to meet new friends. We elaborate on this topic in our guide to affordable travelling, so check it out for additional valuable information. Our vacation planning service is as relevant to budget-oriented trips as it is to high-end vacations. Although we don’t offer pre-made packages for budget travelers, we do provide a personal consultation service and assistance. Whatever your requirements, to ensure that your vacation goes as smoothly it can for as little money as possible, contact us today. Everyone has his their own unique standards and expectations. We use our personal touch to match your needs, and give you the best booking experience. Our local presence allows us to find the best deals possible, and to quickly assist with any unexpected issues. We understand that accommodation is one of the most expensive aspects of your holiday, but with our knowledge and expertise, you will be able to find the best deals available. For more inspiration and ideas on how to spend your time outside the hotel, check out our full list of pre made packages, and get ready to embark on the best vacation you’ve ever had. Thanks for showing an interest in our services. The best way to start is either by going through our pre-made vacations packages, or reading about the destinations we work in. Also, you can just go ahead and send us an inquiry – let one of our agents do the work for you. Hi! Which islands or resorts would you recommend for best snorkeling and views? We would prefer the less touristy locations. You can view our most recommended destinations or best diving and snorkeling spots.